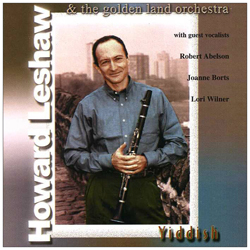 Woodwind virtuoso Howard Leshaw is a one of a kind musician and arranger. He moves Jewish music into the future with a band of jazz masters, combining ethnic integrity, imagination and virtuosity that leave audiences breathless. Howard Leshaw's music gives us a taste of what the Klezmer masters of yesteryear would sound like if they were alive today.